Transform frustration into moments of connection. Stop feeling trapped and guilty about parenting. is the an﻿swer you've been looking for. to create a more satisfying family life. that can be used anytime, anywhere. 3. State of the Union: Taking stock of where your family is in this present moment. 4. Crafting a Family Mission Statement: Get clear about what's important to you. Open up a conversation that gets everyone on the same page. Focus on how you want family to feel. (And less on what it is that your family does.) This chapter is broken down into 3 different sections and is the most elaborate section of the Toolkit. 5. Mapping the Year in Celebrations: Bring intention to the way that you celebrate the cycle of the months. 6. Daily Routines: Where the rubber hits the road. Suggestions for how to bring more mindfulness to your daily routine and stop feeling frustrated. One of my favorite quotes is this definition of insanity: "Doing the same thing over and over and expecting different results." 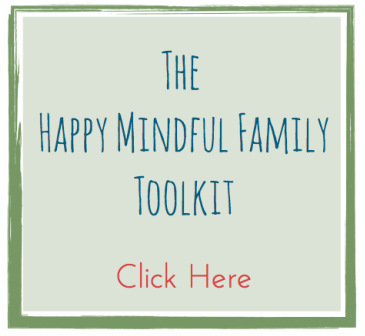 This toolkit is designed to help you STOP feeling insane and out of control and get you the results you've been looking for.